For Teachers; Speech-Language Pathologists; therapists (MFTs, LCSWs, OTs, PTs); autism specialists; clinical, educational, developmental psychologists; clinical and educational administrators; physicians, nurses, nurse practitioners, particularly those in developmental practice; social workers; paraprofessionals; parents and other family members and caregivers of students with social thinking challenges. Focus Social Thinking conferences are dedicated to providing practical information about school-age students and adults who have social and communication difficulties, including but not limited to those related to high-functioning autism spectrum disorders, PDD-NOS, Asperger Syndrome, NLD, ADHD, twice exceptional, murky undiagnosed challenges, etc. Information presented concentrates on students with near average to far above average verbal intelligence (verbal IQs above 70). Most strategies focus on school-age children and adults, although the information is helpful for those living and working with younger children. Delve into the inner mind of a person with social learning challenges. The Informal Dynamic Social Thinking Assessment includes four unique assessment tasks, shown through video, to uncover how our students process and respond to social information in real-time. Audience activity to help learn to score aspects of these tasks will be included. Explore three core Social Thinking Treatment Frameworks: Social Behavior Mapping, The Friendship Pyramid, and The Spirals of Social Anxiety and engage in related hands-on activities. Discuss factors to consider when running effective Social Thinking treatment groups. This conference day gets very high marks from attendees! The focus of this day is to take attendees on a deeper dive into core Social Thinking strategies through the use of video clips and hands-on practice using treatment goody bags. If you've already learned the Social Thinking basics from attending different conference days or reading our published materials, then this course will be right up your alley as it helps to make better sense out of your real-time observations while creating treatment tools in a way we have never offered before. Those attending this day will receive the new Cascade of Social Attention Checklist, practice lessons by using popsicle sticks and playing cards and learn one way in which a digital camera can literally change the face of your treatment. You'll also receive samples of how all this information can be represented in IEP goals and rubrics for measuring change. Finally, through longitudinal videos of 4 different clients, an individual's competencies and focus of treatment change across 5, 10 and 15 years will be explored. We begin the day by exploring how to better understand the inner minds of individuals with social learning challenges when our standardized testing falls short. 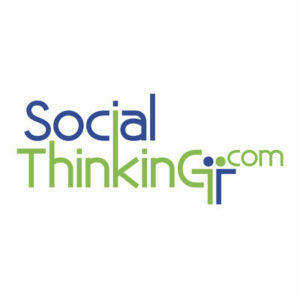 We introduce the Informal Dynamic Social Thinking (IDST) Assessment, a tool described in Michelle Garcia Winner's book, Thinking About YOU Thinking About ME, 2nd Edition. IDST assessment tasks are useful as part of the initial or three-year testing process. These assessment tasks are helpful to all persons - parents, teachers, counselors, and therapists, to better understand how our clients process and respond to social information in real-time interactions. The IDST is invaluable in learning more about the way individuals think, and how their social thinking challenges affect their social and academic learning. A detailed checklist is provided for two of these assessment tasks for a deeper understanding of how to better observe individuals and develop more meaningful treatment programs. Discussion related to the video footage of the informal assessment tasks will highlight ways in which all of us (parents, diagnosticians, paraprofessionals, teachers, counselors, therapists, etc.) can work more effectively with those we aim to help. Parents and professionals give high praise for the highly practical nature of this workshop. In the afternoon, we will review three practical Treatment Frameworks and related teaching strategies. First, Social Behavior Mapping (SBM) is a visual framework that teaches how to better understand the social expectations in a given situation. SBM then guides us to strategies specific to an individual’s needs as they discover what’s “expected" or “unexpected" in a social situation and how their behavior impacts the feelings of others. How others feel about us impacts how they treat us and ultimately affects our own feelings! Social Behavior Mapping has been widely adopted for use with all ages. This core Social Thinking tool reflects our Cognitive Behavioral teaching style. Audience members will be encouraged to create their own Social Behavior Map to explore how this tool can be easily used with all types of students/clients. Next, we explain through a visual framework the journey between learning to be friendly and maintaining successful friendships through our Pyramid of Friendships. We will delve into what it means to be a friend, distinguishing between 1) "being friendly," 2) developing a friendship, and 3) having a "bonded friend." We will also discuss how conversational skills are only one component to keeping friends - as "hanging out" actually means we share space without necessarily talking! Audience members will explore how to use this tool with their students. For individuals with strong social self-awareness but nuanced social learning challenges, social anxiety commonly emerges as another factor to be considered in treatment. The visual tools the Spiral of Social Success and the Spiral of Social Failure guide how we teach social competencies while also teaching how to manage social anxiety. To round out the day, we offer some basic concepts and ideas for running Social Thinking groups. Our treatment goals are to help make the abstractions of the social world more easily interpreted through our concrete explanations. Explain the “excuse bucket” impacts our student’s ability to teach their brain new concepts and skills. The reviews are in and they are terrific! Participants love the hands on activities while simultaneously learning how to teach core Social Thinking concepts and strategies. Utilizing video clips that incorporate deep lessons from The Four Steps of Communication treatment framework, we will guide you in hands-on activities to facilitate improved social communication skills with your students/clients/children. A detailed handout for guided observations, as well as a bag of physical manipulatives, will be provided for attendees to work in small groups to practice and interact with one another. Use the newly developed Cascade of Social Attention Checklist, which is only available at this conference. The Checklist is a tool to help evaluate an individual's social interpretive systems to better understand where to begin in the process of teaching how to think socially and ultimately produce related social skills. The Cascade also helps to explain why many of our students/clients/children have challenges with academic tasks such as reading comprehension and written expression. For some literal-minded individuals who show challenges in social self-awareness and observational skills, we often see a struggle to distinguish what is real versus what they hope or wish would be real. The audience will learn and practice activities to encourage more reality-based perspective taking. When trying to relate with others, many of our students/clients/children have a weak sense of physical presence and facial expressions. We will explore how to use simple technology (phone camera) and Popsicle sticks for teaching abstract ideas in very concrete ways. We will also teach an array of activities to encourage social conversational skills within a group to balance participation between your more talkative and less talkative individuals. Core lessons and activities will show a connection to the state and Common Core standards. We will also include examples of goals and rubrics for the activities taught throughout the day. Finally, we will track the social growth of four different clients over 5-15 years of development and discuss how social emotional and executive function needs shift across time. Why we need to teach individuals to understand the difference between “real and pretend” and activities to use in treatment to foster perspective taking, narrative language and problem solving skills. A range of practical hands-on activities to teach awareness of how and what people communicate through their physical movements. Key lessons to develop social conversational skills and an array of related activities to provide practice. How a series of digital photos can teach social self-awareness in order to understand how others perceive us in order to drive social behavioral modifications. Michelle Garcia Winner is a Speech-Language Pathologist who specializes in the treatment of students with social cognitive deficits at the Social Thinking Center, her clinic in San Jose, California. After years of working in schools and in private practice with a wide-range of individuals on the autism spectrum, Social Thinking was born out of necessity as a way to reach those “bright but socially clueless students” who needed more information than just what social skill to use. She coined the term “Social Thinking®” in the mid-1990s and continues to evolve the Social Thinking framework that today includes information, vocabulary, curriculum, and strategies that help individuals with social learning challenges become better social thinkers. Her years of experience demonstrated that lessons taught through Social Thinking could apply across a range of disorders that extends beyond ASD, to individuals with ADHD, nonverbal learning challenges, as well as those with head injuries or emotional learning challenges. Pamela J. Crooke earned her Ph.D. in Speech-Language Pathology from the University of Washington in Seattle. Prior to joining the Social Thinking team in San Jose, she coordinated the Autism interdisciplinary clinical services at the Tucson Alliance for Autism in Arizona, served as a clinical and academic faculty member of three universities, and worked in the Arizona public schools for 15 years. Dr. Crooke speaks widely on Social Thinking internationally and has co-authored, with Michelle Garcia Winner, five award-winning books. Treatment efficacy in social and relational therapies for individuals with high-functioning autism remains Dr. Crooke’s primary area of interest. Please note this schedule is for both days. A light lunch will be provided for both days. Register for all four days of training for Two Days of Social Thinking (August 4 & 5, 2016) and Cutting Edge Strategies to Improve Executive Function Skills (Sept 15 & 16, 2016) and receive $50 off the total registration cost for the two conferences. Register at this discounted rate by choosing the online registration option, 'Both Social Thinking & Cutting Edge Strategies'. you have not already received a group discount, and cannot be used in combination with any other group discounts. you register for both days of both events (no discount for single day registrations). an individual is attending both events. It cannot be shared amongst attendees. an individual is attending all four training days of the two events. In case of cancellations, original registration rates will apply. The Sheraton Wall Centre is located centrally in downtown Vancouver on Burrard Street between Nelson St and Helmcken St. The venue is transit accessible, and is a ten minute walk from the Burrard Skytrain Station (Expo Line), and the Vancouver City Centre Skytrain Station (Canada Line). Visit the Translink website to plan your transit route. 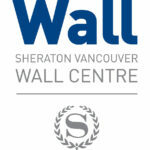 The Sheraton Wall Centre is offering discounted rates starting at $189.00 per night for ACT conference attendees. Book your rooms online here, or call 1-800-663-9255 and reference the code '25401' and 'Autism Community Training', to receive the discounted rates. Rooms and room rates are subject to availability - book by July 4 to receive discounted rates.